Rudy Afandi, Human Resource Director, General Electric shares some interesting insights on change management, why new change initiatives fail, and how should CEOs and CHROs collaborate when it comes to change management. Rudy Afandi is the Human Resource Director with General Electric. He has broad experience across HR functions including remuneration and reward, capability building, recruitment, performance management, employee relation, change management, and organizational development. Afandi has worked in different businesses, functions, and countries. 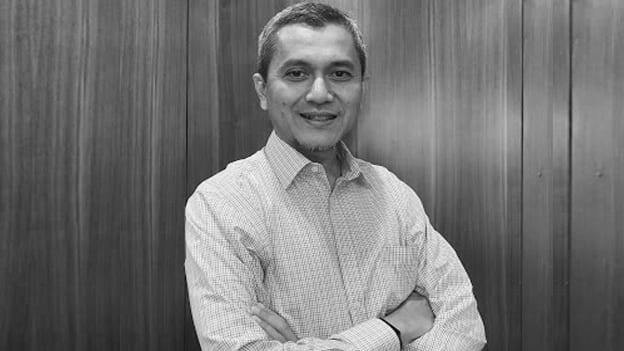 Prior to joining GE, he was the Head of HR for Supply Chain and Corporate Industrial Relations with Unilever based out of Indonesia. In a candid conversation with People Matters, Afandi shares some interesting insights on change management, why new change initiatives fail, and how should CEOs and CHROs collaborate when it comes to change management. Nearly 75% of organizations, according to Gartner, expect to multiply the types of major change initiatives they will undertake in the next three years. Yet half of the change initiatives fail. Your take on this. It is true that in a fast-paced environment, organizations need to embrace change faster and more frequently. And this is also what will require organizations to prepare their workforce. This would mean that people need to be open-minded, agile and risk takers. In addition to that, companies need to follow the basic principles of change management. Currently, there is a lot of noise around change management because a lot of organizations are unclear about the objectives and there is no clear way to measure the progress. For example, organizations start new initiatives in the name of customer service but then the mission is actual revenue. Plus, leaders need to play a very critical role in the overall change management not only in APAC but also in more developed countries. Initiatives also fail because of lack of communication; there isn’t enough communication with employees about the objectives of new initiatives, the progress and so on. Lastly, it is important to celebrate the success of change management and reward employees who play critical roles. How are change management strategies evolving over time? What's your approach to new age change management? The basic principle of change management remains the same as I said before. It’s about objective, measurement, communication, leadership, metrics, rewards that should work in alignment. Today the focus is more on making the mentality of employees to be agile and being open to new things. Change management is also about individual responsibility which eventually impacts their growth. For employees to survive in today’s business environment, they need to learn, unlearn and relearn to keep themselves updated in their domain. They have to survive on their own based on performance. What will help you in today’s business environment is your ability to be agile and adept at continuous learning. In our organization, everyone is a leader. The leader here necessarily means one who does not act on his job description alone, he is the one who flags issues if he can’t resolve it. If it’s necessary to make a decision, they have to take the decision. Now this will not happen if employees are not responsive to rules like this. Hence, our HR does not decide training modules for its employees. Employees themselves do. Of course, we have certain set courses for our high potential people. These courses are not for everyone because they are expensive and meant for high potential candidates. For the rest, we have a training platform called ‘Brilliant U’ where there are thousands of training materials in various forms which people can decide on their own which course they want to take. What should be the top priorities for the CEO and CHRO with regard to change management and how should they collaborate? A lot of change initiatives fail because of a lack of understating of the results they want. So, it’s important that the CEO, CHRO, and other decision-makers sit together and brainstorm and decipher the results they want. For an HR leader, I need to speak in business language. This is how the connection between the CEO and CHRO happens. What would you say is the biggest distinction between leading change and managing it? Managing change is more about following the process but leading is about how you inspire people to get the desired result. Managing a change is an approach of dealing with the transition or transformation of an organization's goals, processes or technologies. On the other hand, change leadership is the driving force and vision that fuels large-scale transformation. Change leaders don’t just act on their own terms; they are the ones who accept flaws as and when pointed out by employees. Is there a methodology that you’ve found to be effective in your own career with regard to change management? I have been a part of a lot of change management initiatives. The first step that I follow is to understand the objective behind the change because if I am not convinced how will I get buy-ins from management and other employees? It is important how you communicate with leaders and employees because I as the HR person can’t act on the initiative alone it’s the team that will eventually execute the plan. I make sure I sit with the leaders and convince them to meet the business objective. Tell me about a specific example in your career where there was a large amount of resistance to change. Almost all change initiatives see huge resistance and there is no perfect solution to this problem. I have seen resistance from across the corners when it comes to change. Having said, it is important to listen to the concerns and risk, if any, and then relate it to the objective. Strategic influence is what I find more important when it comes to tackling resistance. By the way, all the change we go for is not 100 percent and hence we need to modify the plan based on inputs. HR plays a very important role because you have to influence both sides. What are you doing to build the executive muscle you need to manage and stay ahead of these big technology shifts? It is very important for me to keep myself continuously unlearn and re-learn things and an example is I make sure I am updated all the time with recent technologies. I think even if you are not deploying a technology, you should know about it. I personally keep connected with people in the industry to keep myself abreast with the latest. I connect with startups because they do a lot of amazing stuff. In our company, technology-related decisions are made globally. However, the global team who made that decision always gets inputs and feedback from the local team to ensure the implementation of the changes are seamlessly executed across countries.